Malcolm Turnbull’s downfall resulted from stratospheric power prices, sent into orbit by unreliable and intermittent wind and solar. His fate was sealed when he started spinning the line that his National Energy Guarantee (which would have effectively doubled wind and solar capacity) would result in power being delivered at 1970s prices. The same line is currently being spun by wind and solar outfits and their propaganda wings, in an effort to forestall the end of the world as they know it. The problem for that line of argument is that everyone, almost everywhere, has heard of South Australia. SA is the place renowned for setting and then meeting its own ludicrous 50% Renewable Energy Target – blowing up a perfectly good coal-fired power plant along the way – and, funnily enough, equally renowned for routine load shedding, statewide blackouts and the world’s highest power prices. Large swathes of Adelaide (the city that never sleeps) were powerless last week, when the State was hit with some inclement spring weather, giving its long-suffering residents a literally chilling reminder of September 2016 and ‘Black Wednesday’; the day that saw a whole state freezing in the dark, some parts were without power for more than a week. The nonsense being spouted about adding more chaotically intermittent and heavily subsidised wind and solar to bring down power prices is a reflection of the desperation that’s spread amongst renewable energy rent seekers and the zealots, charged with marketing the purported merits of nature’s wonder fuels. Panic is not a strategy, but what follows when it’s revealed that what was thought to be a strategy, turns out to be a one-way ticket to oblivion. And oblivion is where Australia’s wind and solar industries are headed. 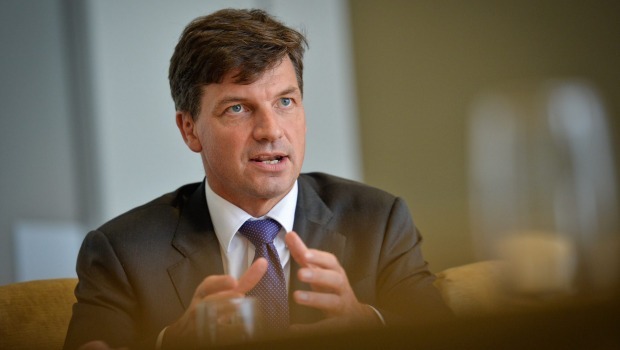 The appointment of Angus Taylor as Energy Minister has guaranteed that the end to subsidised wind and solar will be brutal and swift. Taylor’s, soon-to-be-launched, full-frontal attack on subsidised wind and solar is – as STT has pointed out once or twice before – just the inevitable consequence of the fact that the Federal government’s renewable energy policy is inherently unsustainable. Throwing more than $3 billion a year in subsidies to wind and solar at power consumer’s expense – while they suffer the highest power prices in the world or, in the case of 200,000 families, do without power altogether because they can’t afford it – was never sustainable on any level, but particularly the political. Much the same story is being played out around the globe, wherever governments have allowed renewable energy rent seekers to hijack energy policy. 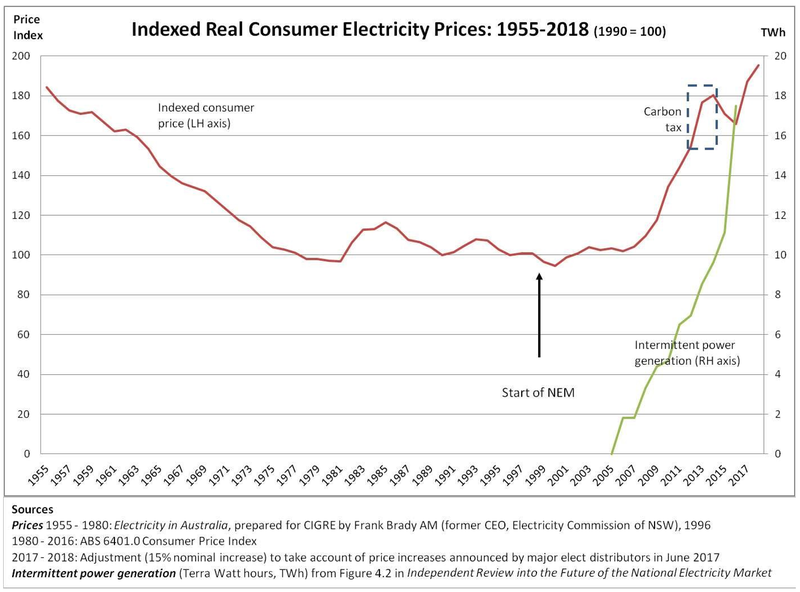 First, there’s the Blitzkrieg-like attack on conventional generators, with market distorting policies that favour unreliable wind and solar; next comes the destruction of electricity markets and grid reliability; rocketing power prices follow, as night follows day; furious power consumers turn on the government responsible; and, the rest as they say, is history. Any politician that misunderstands that sequence of events hasn’t been paying attention. Malcolm Turnbull didn’t, nor did Ontario’s Kathleen Wynne. Both are now rattling at the bottom of the dustbin of history. The only thing ‘inevitable’ about subsidised wind and solar, is rocketing power prices. And what inevitably follows is an end to the policies that inevitably infuriate power consumers. The good news is that in Australia, the US and Ontario the wind and solar industries now face their Armageddon. The bad news is that it took almost 20 years. The better news is that – once the subsidies, mandates, penalties and targets that built and sustain wind and solar are removed, slashed or scrapped – no politician in their right mind will ever attempt to re-introduce any such scheme, policy or plan, ever again. Here’s The Australian’s Judith Sloan detailing the End of Days for wind and solar. Under the US production tax credit scheme, American taxpayers forked out more than $US14bn to renewable energy operators between 2014 and last year. The scheme provides for a tax credit of $US23 per megawatt hour and each project can claim this credit for 10 years. Unfortunately for the renewable energy sector, the scheme is being phased out. Moreover, with the dramatic cut to the federal company tax rate (from 35 per cent to 21 per cent) implemented by the Trump administration, the value of tax credits for existing renewable energy schemes suddenly has dropped. Just recently the plan to construct the largest wind farm in the US, to be located in Oklahoma, has been shelved. The business case for the project just didn’t stack up without the tax credits. Its location in a remote, albeit windy, part of the country meant that close to 900km of transmission lines would need to be built. The cost of and local opposition to the erection of the pylons were further factors killing the project. It’s early days, but there are indications that investment in renewable energy worldwide may have peaked and is trending down. To be sure, there is the left-wing Californian government proposing that the state’s electricity generation should be carbon-free by 2045, although electricity still will be sourced from interstate generators using fossil fuels. By contrast, the recent election of a conservative government in Ontario — Canada’s most populous province — and the wipe-out of the previous progressive Liberal government has meant a rapid reversal of fortune for renewable energy there. The Liberals had held power since 2003, implementing a radical green agenda. Coal-fired electricity plants were closed, albeit with significant delays, and incentives were put in place for investment in renewable energy projects, particularly wind farms. Ontario joined a limited cap-and-trade scheme with California and several US eastern states, thereby imposing a form of carbon tax in Ontario. Interestingly, the emissions reduction targets set by the Liberal government still were not achieved, notwithstanding these interventions. The election of Progressive Conservative Premier Doug Ford has taken a big stick to most of these policies. The latest cap-and-trade auction has been cancelled and approvals for new wind farms have been withdrawn. The $C14,000 ($14,863) subsidy to the purchasers of electric vehicles has been cancelled. At a federal level in Canada, the Trudeau government has run into difficulties with its plan to impose an escalating carbon tax. The original idea was that the tax would be levied in all provinces deemed to be acting inadequately to reduce emissions. Some provincial governments are threatening to sue the federal government. And the Trudeau government has needed to tweak its carbon tax plans to deal with the commercial threats to energy-intensive, trade-exposed firms operating in Canada. This situation has been made more difficult by the recently imposed tariffs on some Canadian exports by the US administration. In Germany, the solar industry basically has collapsed in line with sharply reduced subsidies from the government. Subsidies to wind turbines have oper­ated since 2000 but are due to run out in 2020. Some older turbines will need to be decommissioned, raising several thorny issues, including the lack of provisioning for the costs by the operators. The blades are incapable of being recycled and the turbines are anchored to the ground using hundreds of tonnes of concrete, making the decommissioning process problematic. One estimate puts a potential loss of existing turbines in Germany at 5 per cent of the stock by 2022. German Chancellor Angela Merkel is under pressure to extend the life of coal-fired power stations. And recently she rejected the proposal of several EU countries to lift the shared emissions reduction target by 2030 from 40 per cent to 45 per cent. This is notwithstanding her earlier support for the higher target. China often is cited as an example of a country that has invested heavily in renewable energy. What is less often cited is China’s substantial investments in new coal-fired and nuclear power stations. Providing affordable and reliable electricity across the country while shutting down old coal-fired power stations with damaging particulate emissions has been the top priority in China for some time. So, what does this mean for Australia? The renewable energy sector is keen to spruik its economic case. It notes that about 7200MW of capacity has been added in the past few years, although this is nameplate capacity rather than actual 24/7 generation capacity. It also notes that the cost of renewable energy is falling, more so for solar than wind. The combination of the dying days of the renewable energy target and active subsidisation of renewable energy projects by state and territory governments, mainly through the reverse auction process, has driven this latest burst of investment in wind and solar farms. However, no new projects are proceeding in which operators are taking the merchant risk. (A possible exception could be Chinese-backed projects.) Without power purchasing agreements from users, no new projects are likely to proceed. It is clear the value of the large-scale generation certificates that underpin the RET will begin to fall significantly in the early 2020s. For a company such as Infigen, with its large portfolio of wind farms, this is an alarming prospect. And in case you think renewable energy investment is always a commercial winner, we recently have witnessed the problems encountered by RCR Tomlinson, which has had to take a $57 million writedown on its Daydream and Hayman solar farm projects. Now the rent-seekers in the renewable energy space don’t like negative talk. They are predicting wholesale electricity prices in eastern Australia will halve as a result of the additional investment in intermittent and relatively homogeneous (with similar wind and sun patterns) power. Mind you, they have been saying this all along, including when the RET was being reviewed in 2015. Since then wholesale prices have doubled, having been nearly triple at various stages. Without subsidies and the ongoing presence of backup power based on fossil-fuel generation, the outlook for more renewable energy in Australia is extremely uncertain. Indeed, without the intervention of governments, the salad days for renewable energy will quickly fade, something the sector understands. That’s why the energy policy debate is so important to them — and to all of us. For RE rent-seekers ‘fear’ has a new name: ‘Angus Taylor’. Despite the failure of wind, we keep adding more, just to make sure it doesn’t work. The first QLD wind farm up in FNQ was added to the grid this month and when you read their propaganda report it is an excellent example of the reality distortions associated with all such initiatives. The wind farm operators claim this site will supply 30% of NQL power, however it’s not off to a great start, with long periods of zero output. The project claims a modelled 35% average CF output and so far it’s only able to peak up to 27%, with an average of less than 10%. Today it averaged less than 5% CF. Good luck if you want to rely on this for a grid supply. The tragedy is that 10 short years ago we had a cheap and reliable electricty grid. Today it’s a crumbing mess. The above makes tremendous good sense. In contrast, note the current renewables objectives slated for California: their reputation for “screwing up” is clamantly enhanced and the disparity with your new policies in Oz compounds the near-lunatic approach in California, USA.